It’s established that fit is essential to clothes that look good. Men are constantly being advised to have their suits tailored or at least altered to fit, and the custom shirt industry continues to grow. Unfortunately, many men neglect to even consider having alterations made to a style staple like jeans because of cost. 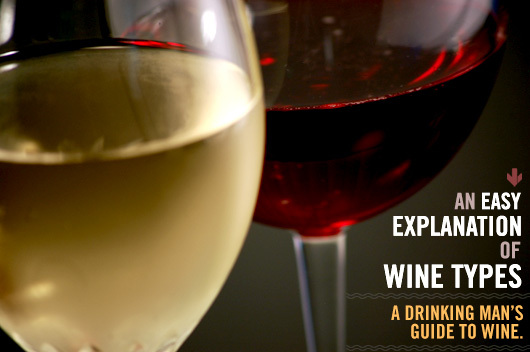 But a lot of guys are shorter than the shortest available inseam, and a lot of others fall in the middle of the wide 2 inch gap between a 32 inch inseam or a 34 inch inseam. 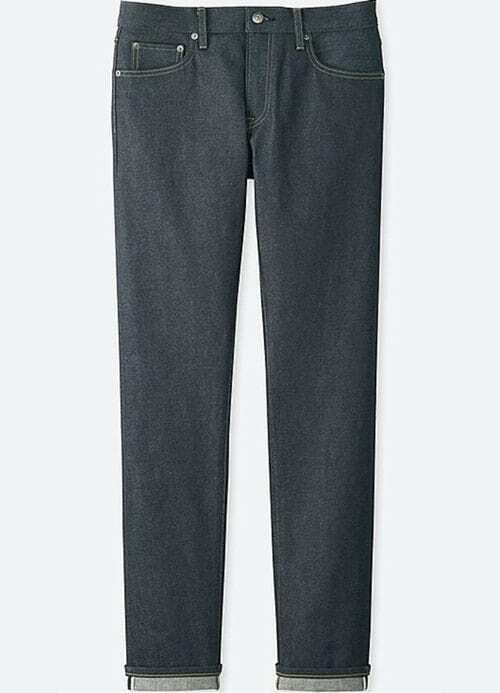 Luckily, Uniqlo now makes it easier – and more affordable – than ever to have your jeans altered to fit, offering complimentary hemming services on any jeans (priced $20 or over) purchased online. (And if you manage to find a pair of jeans less than $20 – bravo! The cost for alterations will still only be $5.) At a regular price of $50, free hemming places serious competition on similarly priced brands like Gap. Uniqlo had previously included this service at its store locations, but requesting a hem online is a game changer for customers who don’t live near a physical Uniqlo store or simply prefer the convenience of online shopping. All you need to know are your waist and inseam measurements, and – voila! – no longer will men who measure 34×28 need to watch their jean bottoms drag along the ground in a pair of the more commonly available 34x30s nor will tall and slim types need to buy the first pair of 28×34 jeans that they’re actually able to find. Be aware that Uniqlo’s official policy declares that altered merchandise – even if it had been altered in-store at Uniqlo – may not be returned or exchanged at any time. However, the fact that your new jeans were made specifically to fit your measurements should ideally reduce the need to return them. Higher end retailers like Nordstrom have traditionally offered some level of complimentary alterations, and Saks Fifth Avenue even includes complimentary hemming on jeans purchased in store. Of course, that comes at the cost of purchasing jeans at Saks prices. 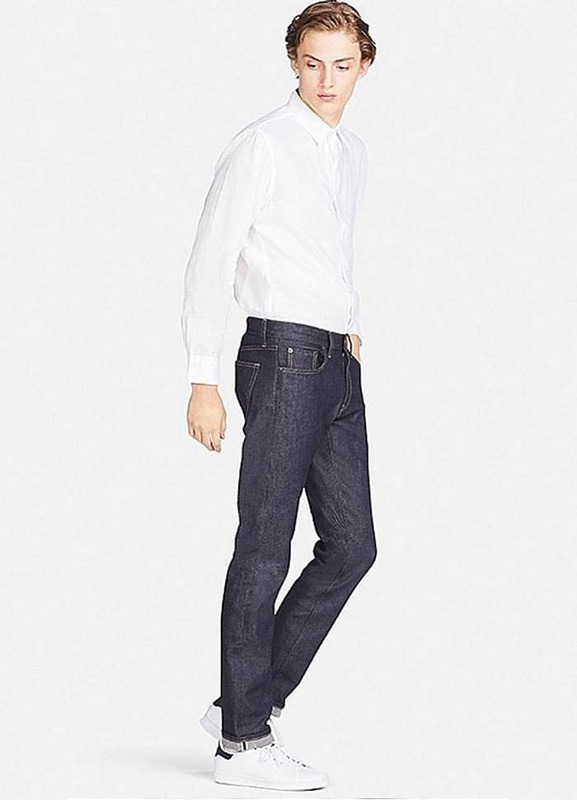 This innovative new solution from Uniqlo is aimed to deliver jeans that will fit both your legs and your budget – hopefully it becomes a trend other online retailers take up as well. This is great to hear. I usually go to Uniqlo for jeans, but their stores are quite a way from me. 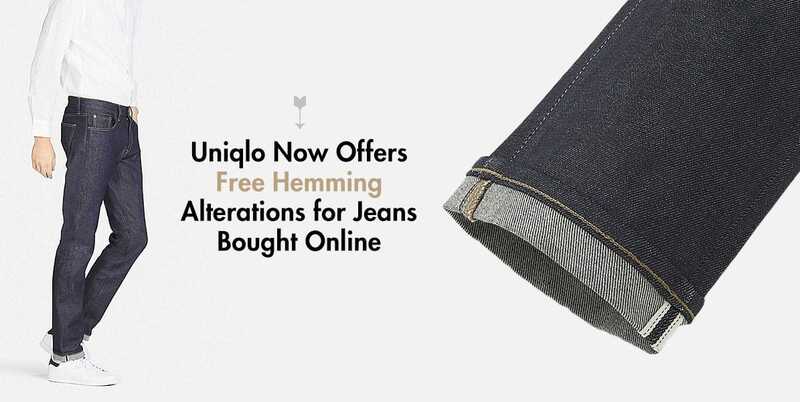 So online hemming will be a great way to find jeans that fit well, without the hassle. I just returned some Uniqlo selvedge jeans because they were shorter than the stated inseam and so they were too short for me. I think this is a game changer, especially for short men, getting a proper length pair of jeans is less of an issue. It seems mainstream clothing stores are finally catering to guys that don’t fit into the standard 5’9 category. Brands like Peter Manning should take note.